Moving Guide – Great Tips for Moving! Even with expert movers in your corner, moving can incredibly overwhelming and stressful! Use this comprehensive moving guide filled with great tips for moving to get organized and plan your way to a successful move. What do I need to do before moving? Organization and Tasks Lists – Tackle what you can ahead of time! Set up transfers and updates for utilities, subscriptions, banks etc. Finish any real estate documents, rental agreements, etc. Update your license / ID / etc. Finish packing, moving and scheduling plans. Make sure you have supplies! Be sure to keep important documents, school documents, medical information and current bills in a safe place and move these items yourself! 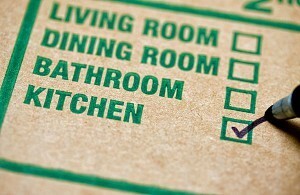 Set aside things you will need in a priority box – Think of it like you are packing for a weekend camping trip. Only the essentials! Order moving supplies from your moving company! While hiring movers to handle the packing is certainly the easiest and most efficient route, packing yourself can also be done properly with some great tips. View our expert moving guide from the pros at our local and long distance moving company.